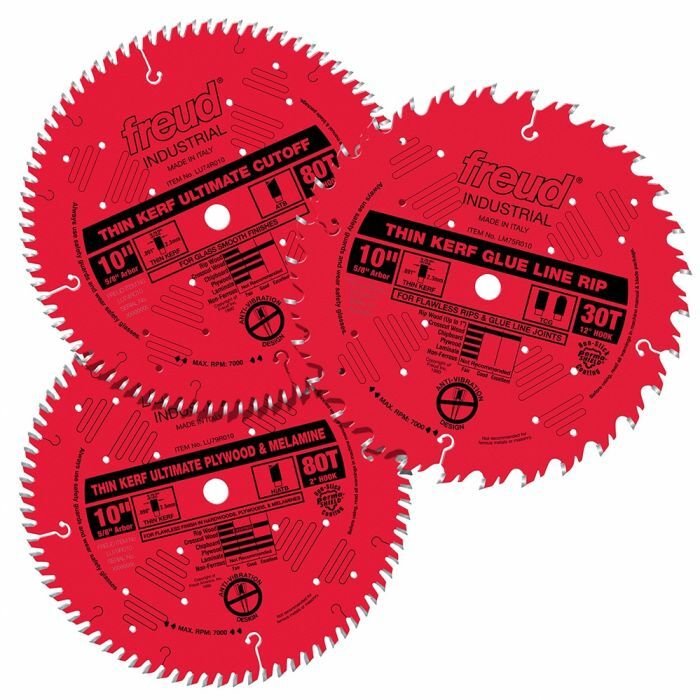 With these three popular saw blades from Freud, you can make all the cuts you need, whether ripping or crosscutting, even in very chip-prone materials. The LM75R010 Glue Line Ripping Blade creates smooth edges for gluing and finish work, all without sanding or jointing after the cut. The LU74R010 Cut-Off Blades produces an exceptionally fine finish on end grain when crosscutting. Finally, the LU79R010 Plywood/Melamine Blade excels at cutting melamine, laminate, veneered plywoods and other chip-prone materials.